Following the death of Peter Bancroft, Nebulous's former proprietor, the stock of new books, the copyright of existing and part finished books and the trading name have been acquired by myself. 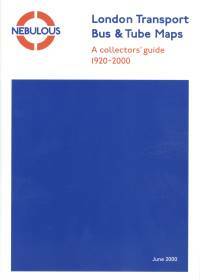 London Transport Bus & Tube Maps - 1920-2000 - A Collectors Guide, by Anne Letch (2000 edition) £3. (Note this is 15-year old stock that has been stored and the staples may be discoloured, which is reflected in the reduced price). 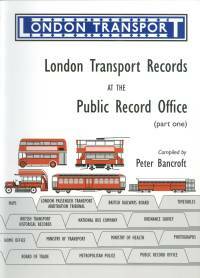 London Transport Records at the Public Records Office (Part 1), by Peter Bancroft. ISBN 0950741639 £17.50. (Note that Part 2 exists only in electronic form on this website). 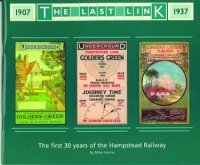 The Last Link (a history of the Charing Cross Euston & Hampstead Railway), by M.A.C. Horne. ISBN 978 0 9507416 6 6 £9.95. This was published jointly with London Underground to celebrate 100 years of that railway, part of today's Northern Line). 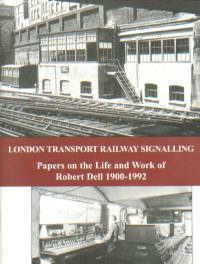 London Transport Railway Signalling - Papers on the life and work of Robert Dell, 1900-1992. Compiled by John Talbot and Peter Bancroft. ISBN 0950741655 £9.95. 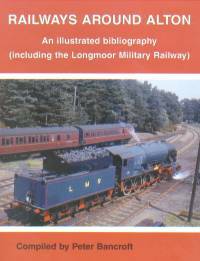 Railways Around Alton - A Bibliography, by Peter Bancroft. ISBN 0950741620 £8.95. To place an order for any of these books please email me in the first instance, using the Contact Me form in this link. Books are charged at cover price with postage extra for orders under £10. Orders whose combined total cover price is £10 or more are sent post free. I require payment in advance, please, except for corporate bodies. For trade arrangements or copyright enquiries please use the Contact Me form on this website. Please note that Peter's entire second hand stock was disposed of separately. 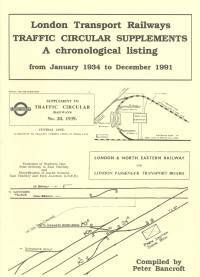 Although Nebulous Books published 150 Years of the Hammersmith & City Railway, it was commissioned by London Underground and copies are available only at the London Transport Museum.